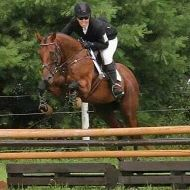 Brandon McMechan is an upper level event rider currently based in Uxbridge, Ontario. Competing since a young age, he has successfully brought along several horses to the international level. He is a graduate of the Ontario Young Riders Program and has had the opportunity to learn from legends in the sport including Jimmy Wofford, Udo Lange and David O’Connor, and more recently rides with Gwen and Kendal Lehari. 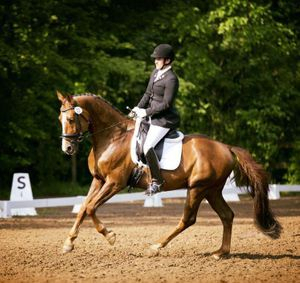 He is currently competing his own off-the-track thoroughbred at the 3* level. In 2017, he and Oscar’s Wild were the highest placed Canadians at both the Richland Park CIC** and Plantation Field International CIC**. These results, along with his strong finish at the Dutta Corp Fair Hill International CCI**, has helped rank him in Canada’s top 20. 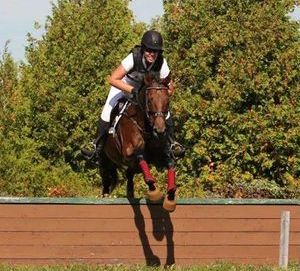 Brandon was invited to 2017 and 2018 The Royal Agricultural Winter Fair in Toronto to compete in Horseware’s $20,000 Indoor Eventing class where he finished 2nd both years among top riders from the USA and Canada. In 2018, Brandon and Oscar's Wild completed two 2* and their first CIC 3*, as well as their first Advanced in good company. Brandon is a wonderful coach for all levels and disciplines, and has a great way of creating confidence in his students! This is sure to be a fantastic day of learning! May 5, 2019, beginning at 9am. $90 for a 1 hour private. $70 for a 2 hour group. Riders will be grouped according to skill level. Lessons will take place in our large grass ring over a variety of show jumping fences and may possibly include some small cross country fences. Auditing is free of charge! Please contact Katie at katie.buxton@live.ca or via Facebook to register, including level and OEF number. Payment can be sent via e transfer to the above email. Cheque or cash also accepted. Buxton Equestrian and Boss Mare Eventing are proud to host a new Short Course Eventing Series at Buxton Equestrian. This series will be a fun schooling series for those looking to get into the sport of Eventing, or just want to try something different and fun! 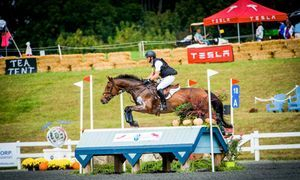 Short Course Eventing features a judged dressage test, and a separate jumping round of combined showjumping, onto cross country, and finishing in the showjump ring. Levels offered: Trot Poles, Grasshopper 18", Starter 2'3", and Pro 2'6"
Dressage only and multiple jumping rounds available. Beautiful ribbons, awards, and high score ribbons for those who compete at both events. Info including prize list and entry forms can be found at www.bossmareshortcourse.weebly.com! For the third year, Buxton Equestrian is holding our popular dressage clinic series with Bri Johnson! Stay tuned for more dates! All levels and disciplines welcome! $75 for a 45 minute private lesson. Full payment required at time of registration to secure your spot. Please email to register, include name, contact info (phone #) and OEF #.